Listed below are the 2015-2017 Officer Nominees for President, President-Elect, and Secretary. Delegates will vote on the nominees at the NCPTA Parent Education & Leadership Conference at the General Session on Saturday, April 18. 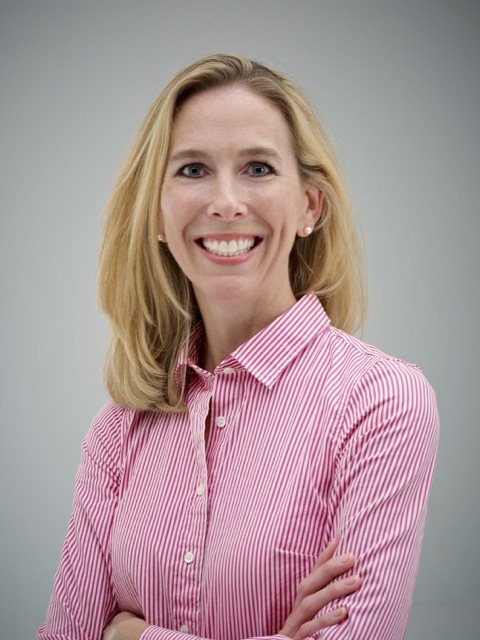 Kelly Langston lives in Greensboro, North Carolina and has been actively volunteering to improve outcomes for all children for over twenty years. She has served in various PTA leadership roles for thirteen years. She has been an elected officer at the local, council and state levels, including a local unit and council president, a state president-elect, a local unit and state treasurer and a local unit and council vice president, while also serving on numerous committees. She has served over the years with various community non-profit organizations, advisory councils, school systems and state agencies to encourage and support collaboration. Kelly continuously seeks to develop her skills through professional development opportunities, to better serve the children and families of North Carolina. She works hard to encourage and support other leaders throughout the state and she believes that all children deserve our best. Kelly is currently employed as the State Coordinator with Action for Healthy Kids. She recently graduated from The University of North Carolina at Greensboro with a master degree in public health. She is married to Rob Langston and they have four children attending public schools. Kelly enjoys spending time with her family and hiking. Diana Bader has been a passionate advocate for all children for over 25 years serving in a variety of PTA executive and leadership roles. Currently, Diana serves on the executive committee of NCPTA where she has been a committed leader on its Board of Directors for almost twenty years. Diana has also served as an elected officer at the local, council and state levels including local unit president, vice president, secretary and treasurer, PTA council president and state secretary. She also continues to serve as an at-large member on the Wake County PTA Council Board of Directors. During her tenure with NCPTA, Diana has served in many roles including bylaws committee chair and was instrumental in leading the creation and adoption of the uniform PTA bylaws for local units and councils. Throughout her career, Diana has been an active volunteer on a wide range of committees and advisory councils including child, youth and teen safety and teen safe driving. Diana helped create a PTA and American Red Cross partnership and implemented its BAT program. She continues to serve as a Basic Aid Training instructor teaching basic-aid and life-saving skills to elementary school-aged children for more than 15 years. Diana earned a Bachelor of Science in Respiratory Therapy with a concentration in neonatal and pediatric care from Northeastern University. Diana and her husband, Michael, have lived in Wake County for the past twenty years where they raised their three children. Cindy has been involved in PTA for more than 22 years in various leadership positions. She has served at the local unit, council, and state levels in various capacities including President in elementary and middle school and as president of the Wake County PTA Council for two years. She has served as secretary for NCPTA for the past 4 years and is currently the chair of the Personnel Committee. 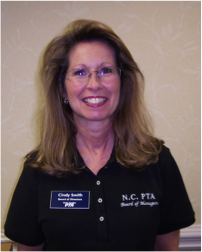 Through the years, Cindy has served in various leadership roles for NCPTA, including chairing the Parent Involvement Committee and being a committed member of the Executive Committee, Strategic Planning Committee, Governance Committee, and Awards Committee, past Nominating Committee and past District Director. She has also been instrumental in helping form new PTA units throughout the state and providing technical assistance to struggling units statewide. 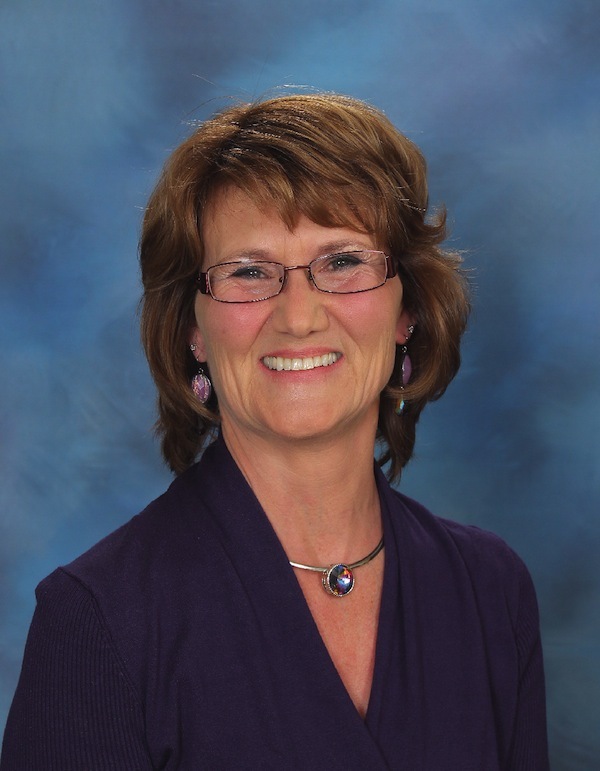 Cindy particularly enjoys conducting leadership training workshops, and she has traveled statewide to help PTA members develop their leadership skills. She has also represented NCPTA and Wake County PTA Council at a variety of national PTA conferences and events through the years. Cindy has served in other leadership positions in her community, including as treasurer and then president for a large youth travel hockey association in which her sons played for over 8 years. She also served as the parent representative for the Leesville Road Middle School and High School club hockey teams. She has served as the Nurse of the Day at the State Legislature as well. Cindy worked as a registered nurse for over 30 years and earned a Masters of Nursing degree from the University of North Carolina at Chapel Hill. She has worked in various health care positions over the years including more than 20 years in supervisory and management positions. She currently works as a nurse practitioner in Neurology at UNC Hospital in Chapel Hill. Cindy and her husband Scott have two grown sons who are students at East Carolina University. April Evans has been a member of PTA for eight years serving on local, council, and state levels. She currently serves on the executive committee of NCPTA and as Guilford County Council of PTAs president. 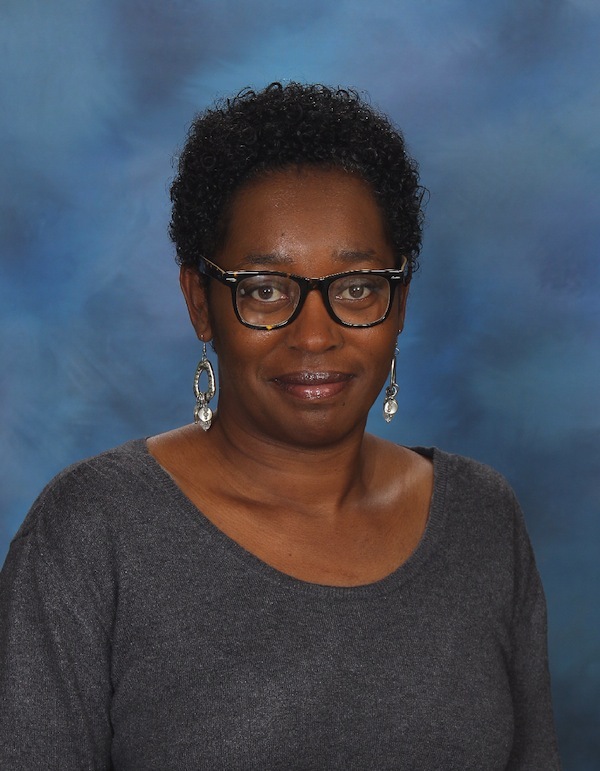 April is a member of the Curriculum Review Committee for Guilford Parent Academy, School Health Advisory Council, and Say Yes to Education planning committee. April graduated from Greensboro College with a degree in Psychology and is currently a Director and Owner of adult developmental disabilities facilities in Guilford County. She is married to Michael Evans and they have five children in Guilford County schools. April enjoys traveling, sports, and spending time with her family. NCPTA is excited to announce the winners of the 2014-15 Annual Awards Program. The following PTAs and individuals will be recognized during our Parent Education and Leadership Conference on Friday, April 17, 2015. Help Us Pack the House! Winners will be announced at the Award Celebration Dinner on Friday April 17. In case of a tie, the winner will be determined by a random drawing. The PTA Council that has the most registered delegates from their member PTAs in attendance at the April 17-18 NCPTA Parent Education & Leadership Conference will win a Summer Leadership Training in their county hosted by NCPTA. NCPTA will cover up to $500 in expenses and provide training materials for the winning Council. Attendees must be registered by the April 10th deadline and be registered as a DELEGATE (“guests” do not count in this competition). The PTA unit that has the most registered delegates in attendance at the April 17-18 NCPTA Parent Education & Leadership Conference will win a Summer Leadership Training for their incoming officers and board members hosted by members of the NCPTA Board of Directors. NCPTA will cover up to $250 in expenses and provide training materials for the winning local unit. This video introduces the NC School Report Cards website and explains how to navigate through the different elements of the NC School Report Cards. Watch video now. How Do I Print a School Report Card Snapshot? This video explains how to print the Snapshot, or PDF version, of the NC School Report Cards. Watch video now. If you are an individual with the drive to work with an inspiring and exciting group dedicated to the PTA mission and striving to make a significant difference in ensuring all children reach their full potential, please download the condensed interest form, share your passions and return to NCPTA office at office@ncpta.org. We hope you will be on the lookout for enthusiastic, passionate, magnificent hard-working dedicated leaders to add to NCPTA’s team! The North Carolina PTA recognizes PTAs across the state throughout the year for building strong teams of parent, teacher and community volunteers. The Bronze Acorn Award acknowledges PTAs whose membership as of March 15 has increased by at least 10 percent compared to the previous year. Learn more about the Membership Record Awards. Read the full list of recipients for the 2014-2015 Bronze Acorn Award. Congratulations to students in North Carolina who placed at the state level for PTA Reflections, a national arts recognition program that encourages students to explore their talents and express themselves. First-place winners move on to the National PTA competition. View a full listing of category placements for dance, film, literature, music, photography and visual arts. Join us at the NCPTA Reflections Celebration on Saturday, April 18, 2015 to celebrate these young artists! The NCPTA Nominating Committee is pleased to announce the Slate of Nominees for State Officers for the 2015 – 2017 term. The Nominating Committee will present the Slate of Nominees to delegates at the NCPTA Parent Education & Leadership Conference at the General Session on Saturday, April 18. The Conference will be held at the McKimmon Conference Center in Raleigh, NC. Volunteers are needed to assist NCPTA with hosting the National PTA Convention June 25 – 28, 2015 in Charlotte NC. This is an opportunity for all to help make this the best National Convention and to showcase our “southern hospitality.” Volunteers who are able to commit to working at least 6 hours over the four-day event will qualify for free registration to the NPTA convention. You would still need to go through your state PTA office to be credentialed as a voting delegate. Information regarding the free registration for volunteering at least 6 hours will be sent to you when you are confirmed as a volunteer. Volunteers will be taken on a first come basis. We will have a waiting list if needed. Registration deadline is April 6, 2015. Thank you for your time and interest in volunteering for the National PTA Convention.